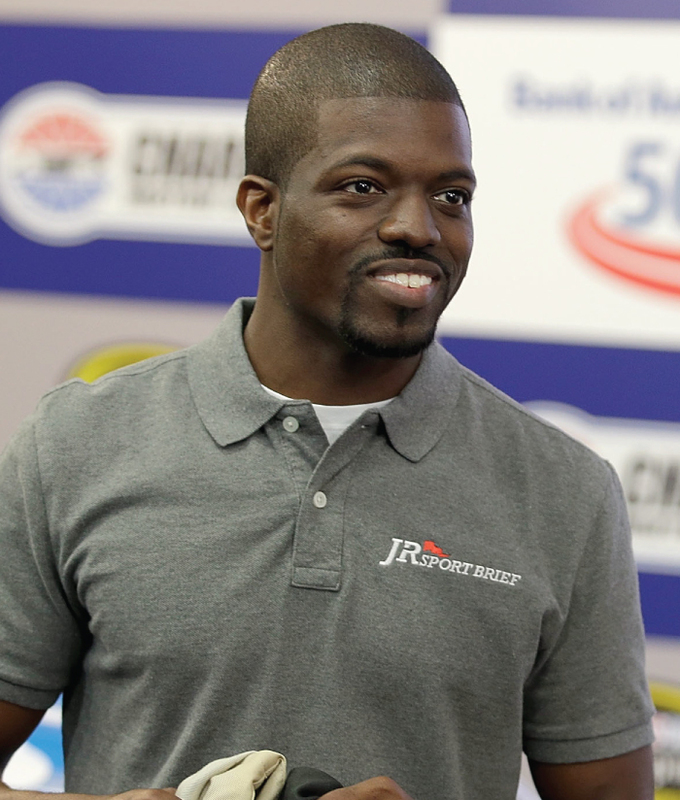 A workaholic since he was a child, JR has turned a love for sports, media and the internet into a full-time career. Whether he’s in Los Angeles interviewing Hines Ward about conditioning, in Dallas talking social media with Kevin Hart or hosting a Google+ Hangout with Pelé from London, JR is always on the move. Before college began, JR talked his way into a marketing and events internship at VIBE Magazine at the age of 17. He turned what was supposed to be a three-month position into a year-long crash course in business, marketing, and communications. One of his early accomplishments includes being credited with arranging the first online podcast to be broadcasted directly from the web to MTV. Between his practical experience from VIBE and his business prowess from his college tenure, JR turned his attention to developing his own brand. Ten years later, JR has built an impossibly successful online sports brand, interviewed celebrities and legendary sports figures alike, visited more than 20 countries on assignment, mastered the art of marketing and online distribution, garnered more than 70 million views on his videos and consulted for various Fortune 100 companies on leveraging the power of social media. As a self-taught media strategist, he has developed online strategies for several celebrities and brands including legendary music icon DJ Grandmaster Flash, Capital One, and Madison Square Garden. He has enjoyed sponsorship and partnerships with various companies including Mountain Dew, Degree Men, Chevy, AT&T and Arby’s. He is currently in the process of launching the SportBrief Network globally to cultivate and distribute the sports opinions of celebrities, vloggers, musicians and beat reporters, covering every sport imaginable, just as he’s done with JRSportBrief. With so much success and online buzz, JR was tapped by HLN TV (formerly CNN Headline News) to report on sports and popular culture. He is now the network’s youngest contributor. In addition to HLN, he is now a contributor to CBS Sports Television and the NY Daily News is publishing JR SportBrief content. With 1,560 Episodes, 74 Million Views and 100,000 Subscribers, JR is just getting started.